These images were rendered in Strata StudioPro over the past year or so. They were all done using a Mac Centris 660AV with 8-12MB of RAM. The Rio Grande Runabout model was rendered on a Mac 7100/70 with 24MB of memory. 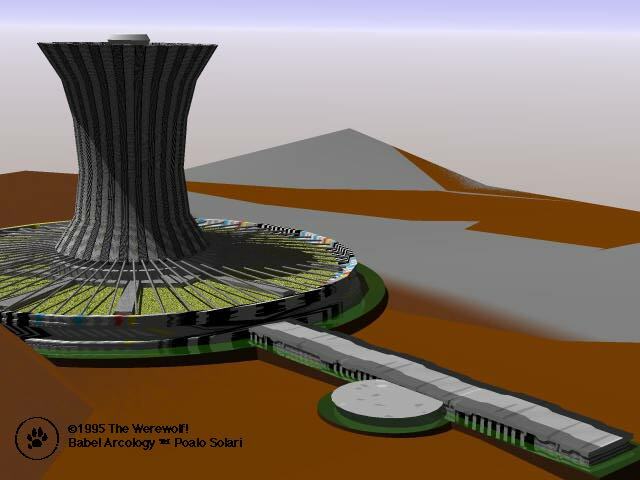 This rendered image is of the Babel arcology described by Poalo Soleri in his book Arcologies. 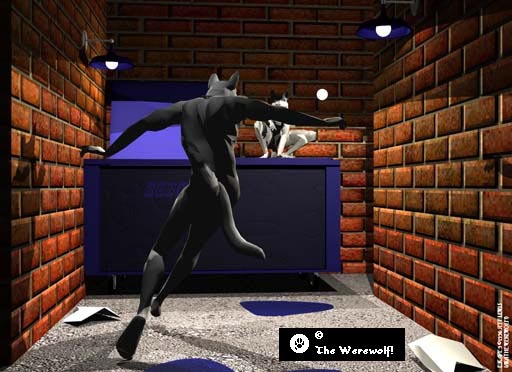 This model was an entry in a small contest which required the participants to construct and render a scene from a movie. I chose the Discovery from 2001:A Space Odyessy. The contest also required that the scene be rended from a view other than the scene to confirm that it was rendered and not drawn or scanned. 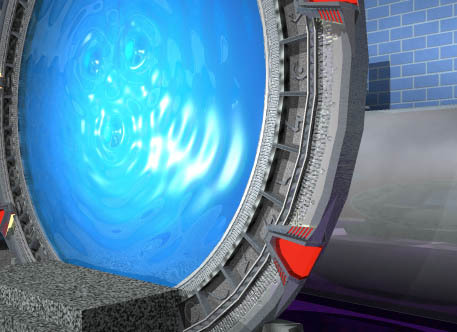 3D Rendering (Strata Studio Pro). 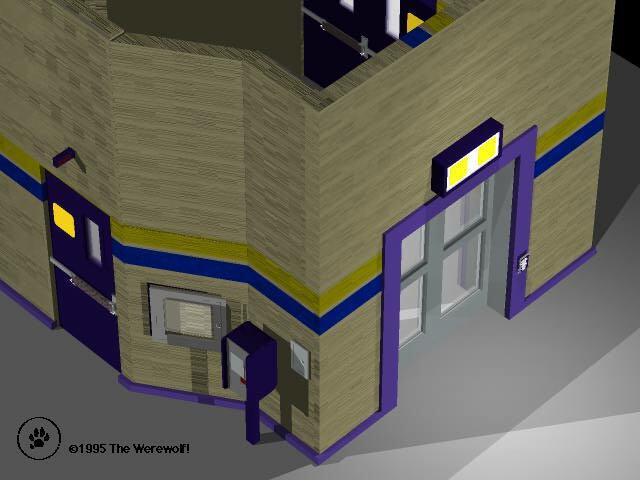 This image is part of a much larger model of the University LRT Station here in Edmonton. Why? Why not - it's much like model railways - only no real parts... it's all done in the computer! I wanted to try and render something from Star Trek and I liked the form of the Runabouts. 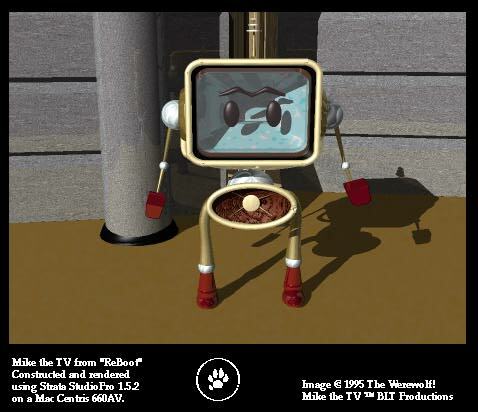 ReBoot is a wildly popular (and rightly so) Canadian animation series which features 100% computer animation. 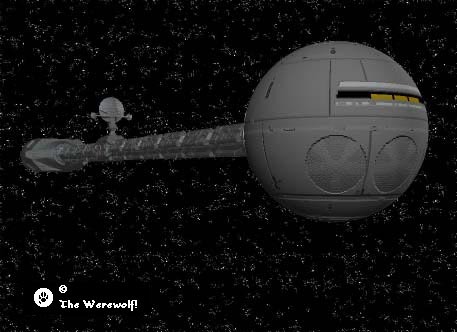 I modelled this from a couple of frames of the TV show by sight. 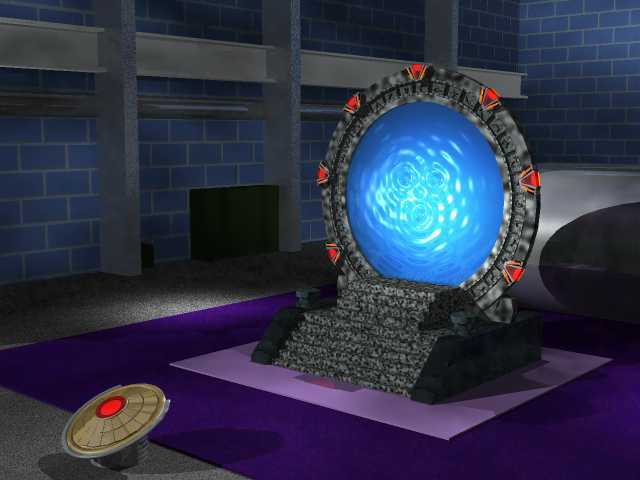 This is a rendering of the StarGate from the IV series StarGate SG-1. 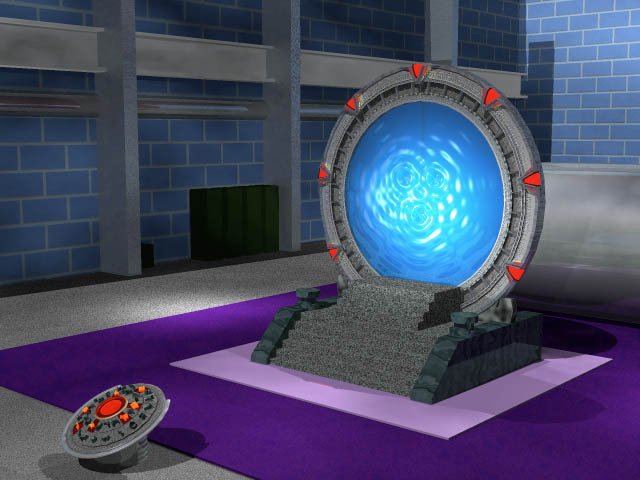 This is a better version of the StarGate model.